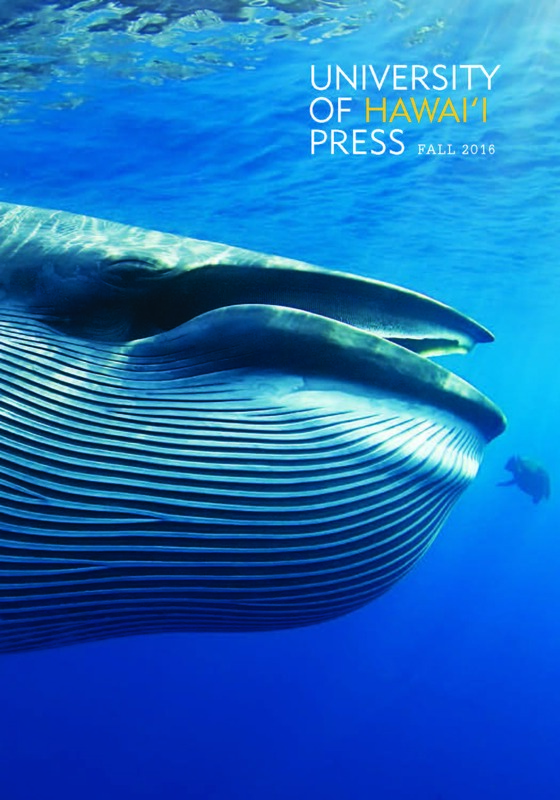 Almost Heaven: On the Human and Divine, the winter 2011 issue of Mānoa: A Pacific Journal of International Writing, edited by UH Professor Frank Stewart and published by University of Hawai‘i Press, has been recognized as a “Notable Special Issue” of 2011 in Best American Essays 2012. Published by Houghton Mifflin, the award series is edited by Robert Atwan; the guest editor of the 2012 volume is New York Times columnist and best-selling author David Brooks. Houghton Mifflin’s Best American series is the literary world’s premier showcase for each year’s outstanding essays and fiction. Work in such journals as The New Yorker, The Atlantic Monthly, and Harper’s is considered for selection. 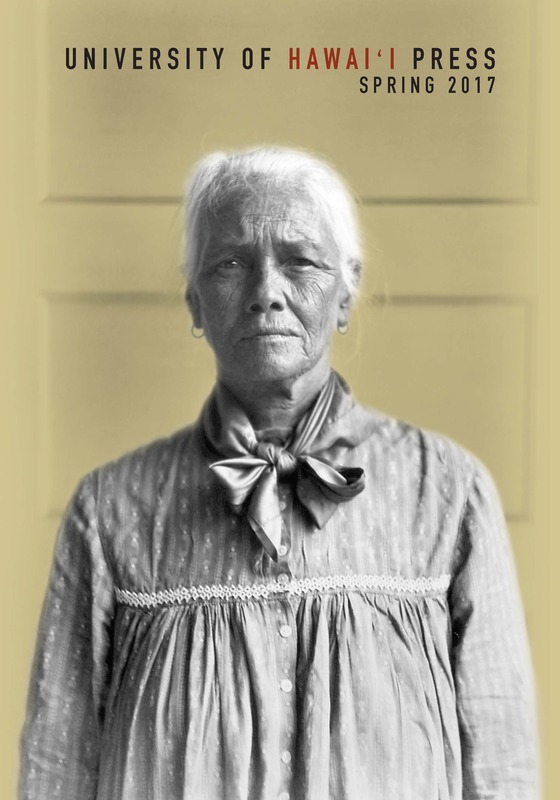 Almost Heaven was supported in part by the Hawai‘i Council for the Humanities and The Mānoa Foundation. HCH also supported the humanities discourse about the issue by co-sponsoring the July 2012 production of Damien and an educational reader’s guide distributed during the performances. Damien, Aldyth Morris’s play about Father Damien, was the centerpiece of Almost Heaven. 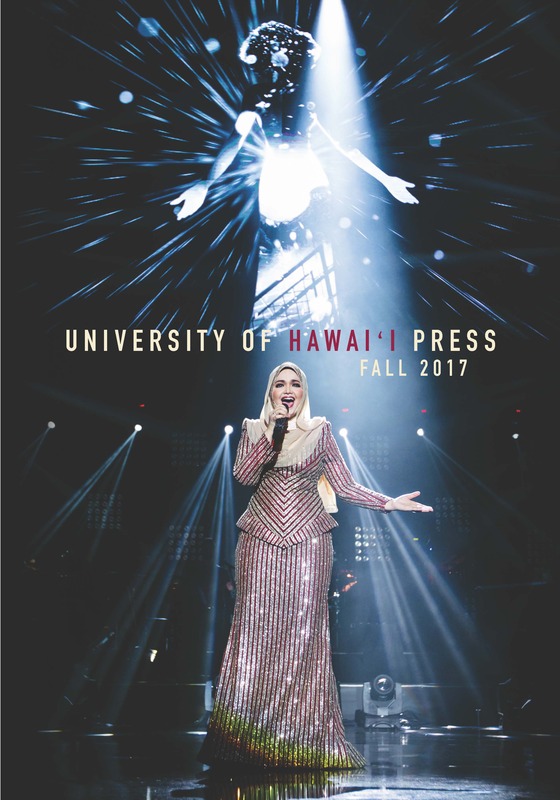 The play was a presentation of Mānoa Readers / Theatre Ensemble, which stages events for university, community, and statewide audiences. MR / TE is a collaborative, cross-disciplinary initiative of the UHM Outreach College, Community Services Division, and the UHM College of Languages, Linguistics, and Literature. Gates of Reconciliation, edited by Stewart and Barry Lopez in 2008, was the first Mānoa issue recognized as a “Notable Special Issue” by Best American Essays. 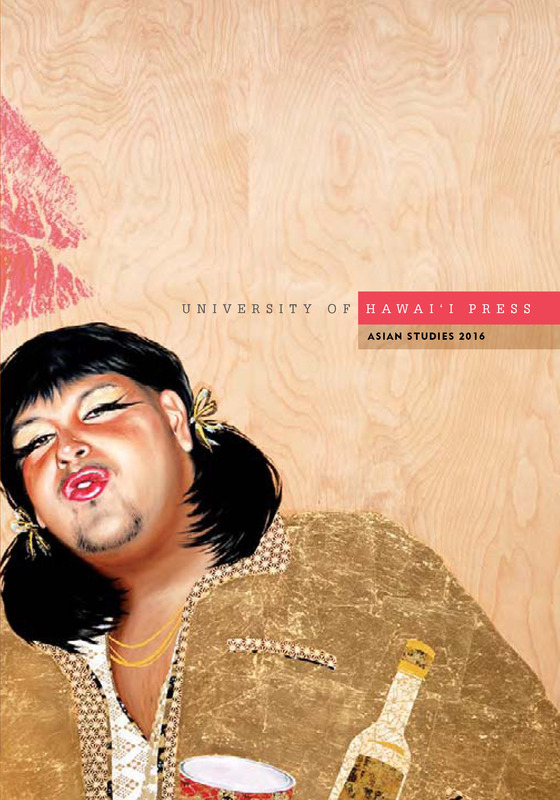 The UH Press Hawai‘i and the Pacific 2013 catalog is now available! 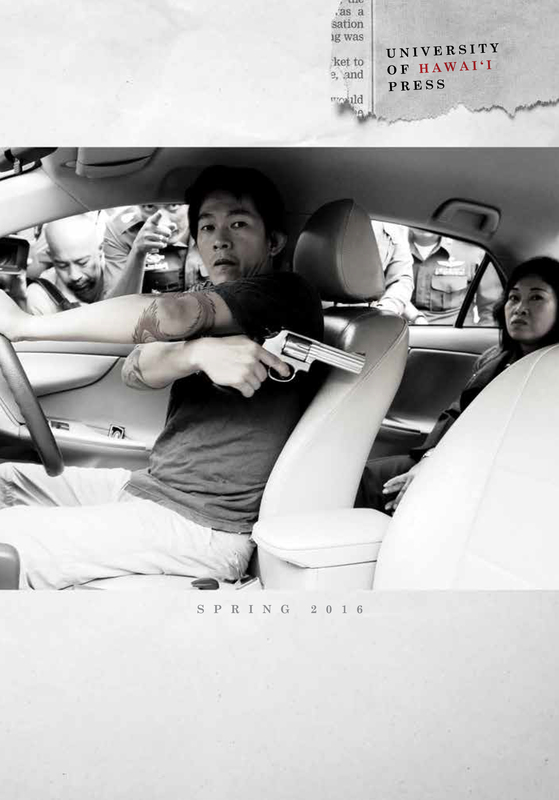 To view the 3.5M PDF, click on the catalog cover image to the left. 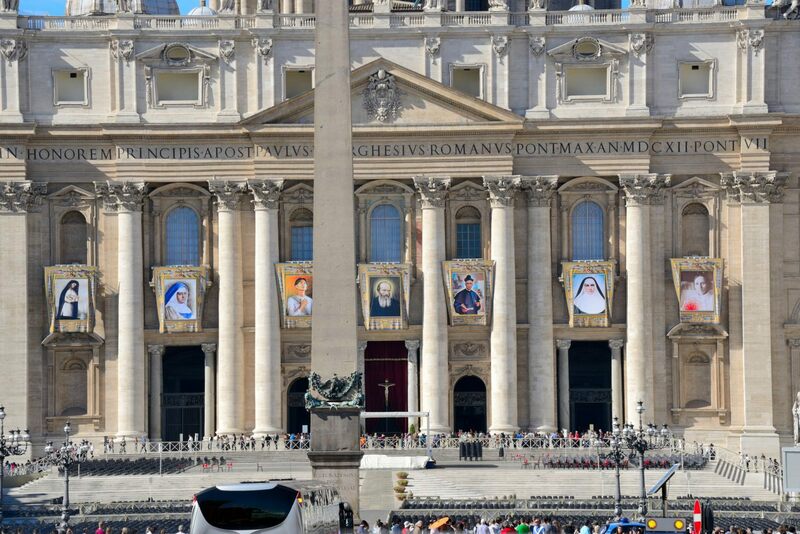 Anwei Skinsnes Law, author of “Kalaupapa: A Collective Memory,” attended Saint Marianne’s canonization at the Vatican on October 21, 2012. 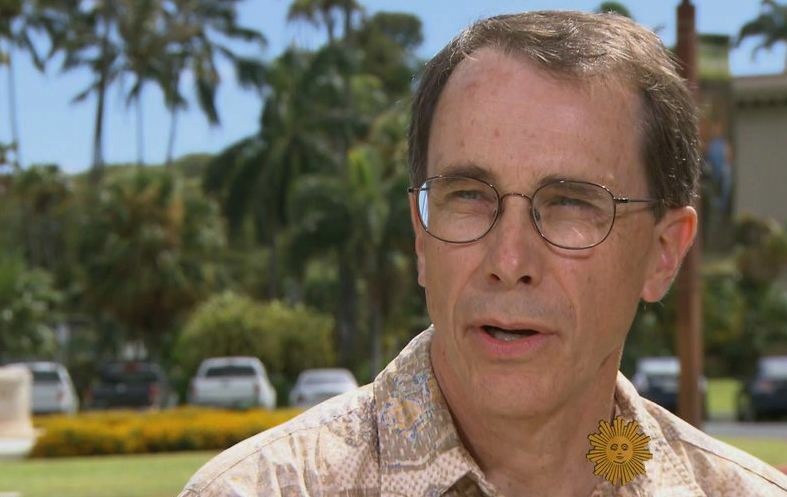 CBS Sunday Morning interviewed Jim Tranquada on the UH Manoa campus (courtesy of CBS Sunday Morning). Jim Tranquada, coauthor of The ‘Ukulele: A History, had a minute of fame on the CBS Sunday Morning Show that aired October 14 across the U.S. The entire six-minute segment by reporter Seth Doane and producer Kay Lim featured international uke star Jake Shimabukuro, the Kamaka ‘ukulele factory, and teacher Roy Sakuma (impresario of the annual Ukulele Festival Hawaii). Tranquada shared that the instrument now widely identified as a Hawaiian icon actually was introduced by Portuguese immigrants from the island of Madeira, off the coast of Morocco. Roughly half a world away, on another island, the “Uke Ireland & Ukuhooley Blog” has posted a comparative review of Tranquada and King’s history with Ian Whitcomb’s recent Ukulele Heroes (Hal Leonard Books). Embedded within that blog post is a video review by Ukester Brown, a ‘ukulele player in Minnesota, who recommends both books, for different reasons. According to the information on the Uke Ireland site, every Saturday there’s a UkuHooley Meetup at the Dun Laoghaire Club in Dublin—perhaps another example of how the ‘ukulele has become an international cultural phenomenon! Thursday, October 11, 12 noon to 1:15 p.m. Author and filmmaker Tom Coffman will speak on his latest book, I Respectfully Dissent: A Biography of Edward H. Nakamura, as part of the Brown Bag Biography series at the Center for Biographical Research, University of Hawai‘i at Mānoa, Henke Hall 325, 1800 East-West Road. 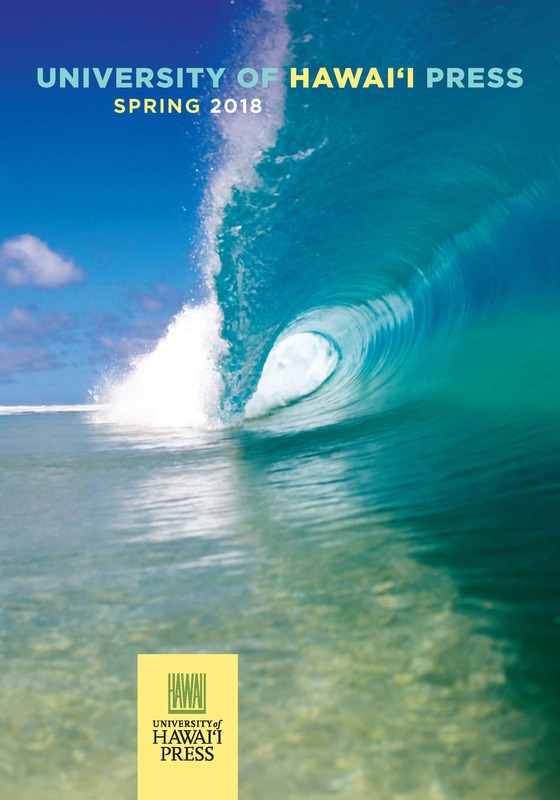 For more information call: 808-956-3774 or email: biograph@hawaii.edu. Thursday, October 11, 5:00 p.m. 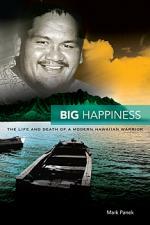 UH Hilo associate professor Mark Panek will be on O‘ahu to kickoff Windward Communitiy College’s Common Book program, which has selected his award-winning Big Happiness: The Life and Death of a Modern Hawaiian Warrior for the 2012-2013 academic year. His talk will be held at the newly opened Library Learning Commons, the first green library in the UH system. The goal of the Common Book Program is that everyone at the college—students, faculty, and staff, as well as people in the community—read and discuss the same book over an entire semester. Friday, October 12, 2:30 p.m. The Department of American Studies at the University of Hawai‘i at Mānoa presents “THE LEAVES KEEP FALLING,” a film screening and panel discussion at the Center for Korean Studies Auditorium. Liam Kelley, associate professor and undergraduate coordinator for UHM Department of History, will be one of the discussants. His book, Beyond the Bronze Pillars: Envoy Poetry and the Sino-Vietnamese Relationship, examined the politico-cultural relationship between Vietnam and China in the sixteenth to nineteenth centuries. The event is co-sponsored with the Center for Southeast Asian Studies and the Center for Pacific Islands Studies. Sunday, October 21, 5:00-7:00 p.m.
Barbara Amos will launch her new book, Bones of Contention: Animals and Religion in Contemporary Japan, on Sunday, October 21, 5-7 pm, at Linda Stein’s Gallery, New York City. For more information, see the previous post. S aturday, October 27, 9:30-11:00 a.m.
As part of the “Saturday University—Myanmar and Its Many Peoples” lecture series, Arizona State University professor Juliane Schober will speak on “Buddhist Activism in Myanmar,” at the Seattle Asian Art Museum’s Stimson Auditorium. Tickets are $5 for SAM members, $10 for nonmembers. 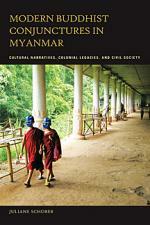 Professor Schober’s book, Modern Buddhist Conjunctures in Myanmar: Cultural Narratives, Colonial Legacies, and Civil Society, will be available for purchase from Elliott Bay Book Company. Upon entering a Japanese Buddhist temple in Hawai‘i, most people—whether first-time visitors or lifelong members—are overwhelmed by the elaborate and complex display of golden ornaments, intricately carved altar tables and incense burners, and images of venerable masters and bodhisattvas. These objects, as well as the architectural elements of the temple itself, have meanings that are often hidden in ancient symbolisms. Japanese Buddhist Temples in Hawai‘i: An Illustrated Giode, by George J. Tanabe and Willa Jane Tanabe, two local authorities on Japanese art and religion, provides a thorough yet accessible overview of Buddhism in Hawai‘i followed by a temple-by-temple guide to the remaining structures across the state.